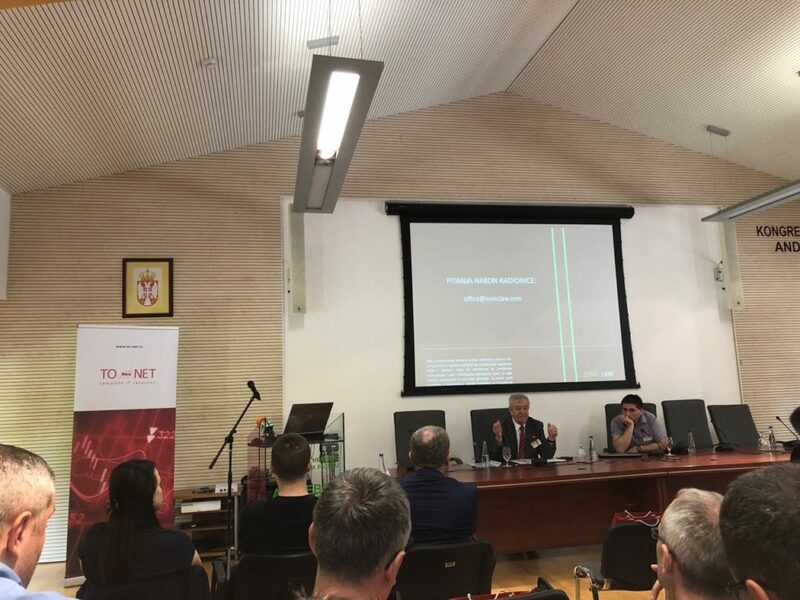 The renowned company TO-Net doo Novi Sad traditionally held a meeting for participants on the domestic gas market at the congress center “CEPTOR” Andrevlje on Fruška Gora. This year, this event was named “Competition Has Arrived, The Match Begins” in line with the tectonic changes that the Serbian gas market has felt with the entry of 66 licensed suppliers to the free market. Additionally, the IT company TO-Net Doo is one of the most successful Serbian companies that offers its own software tools in the form of complete solutions for gas distributors for both Serbian and foreign markets. This year, the innovations were presented at the conference to existing and potential partners, as well as projects that have been successfully implemented until now. Attorneys Tijana Žunić Marić and Nemanja Žunić responded to the invitation of the organizer and held a lecture on the topic “Trade secret and procedures for preserving confidentiality”. In their lecture, Zunic Law attorneys pointed out to the fact that the competition in the emerging markets, such as the gas distribution market, could lead to undesirable acts of unfair competition. By these actions, other market participants can use trade secrets to inflict damage upon the company holding the trade secret or to obtain a parasitic benefit. In order to prevent immeasurable damage that could be incurred this way, the attorneys proposed a number of preventive measures ranging from concluding trade secret agreements to the introduction of full-circle procedures for preserving confidentiality. Zunic Law is focused on providing legal support to IT companies and therefore, members of our team always have the pleasure when they can contribute by participating in such and similar events. Buying Property in Serbia for Foreigners in 7 Steps How to Divorce a Foreign Spouse in Serbia ?